Opening today, June 30, 2016, is a General Meeting of the Synod of Bishops of the Russian Orthodox Church Outside of Russia in the presence of the Directress of the Russian Diaspora, the “Kursk-Root” Icon of the Mother of God. Sessions are being held in the Archbishop Anthony Memorial Library, a part of the Chancellery of the Western American Diocese at Saint Tikhon’s House in San Francisco, CA. The sessions of the Synod of Bishops are being presided over by His Eminence Metropolitan Hilarion, First Hierarch of the Russian Orthodox Church Outside of Russia. Participating in the meetings are Archbishop Mark of Berlin and Germany, First Deputy of the President of the Synod of Bishops; Archbishop Kyrill of San Francisco and Western American, Second Deputy of the President of the Synod of Bishops, Secretary of the Synod of Bishops; Archbishop Gabriel of Montreal and Canada; Bishop Peter of Cleveland, Administrator of the Diocese of Chicago & Mid-America; Bishop Theodosius of Seattle, Vicar Bishop of the Diocese of San Francisco and Western America; and His Grace Bishop Nicholas of Manhattan, Vicar Bishop of the Diocese of Eastern America and New York. Invoking God’s blessing upon the meeting, in his opening remarks His Eminence Metropolitan Hilarion spoke of the impending work of the Synod of Bishops. The Russian Church Abroad is spread over several continents and is found in many countries. Bishops of the Church Abroad have arrived in San Francisco to address the needs of the Church and Her flock. His Eminence continued by saying that this particular gathering of the Synod of Bishops is convened simultaneously with the 50th Anniversary of the Blessed Repose of our Holy Hierarch John Archbishop of Shanghai and San Francisco the Wonderworker (+ 19 of June/2 of July, 1966). One can include in his title “of Western Europe” as well, since he shepherded the flock of Christ there for 10 years before his arrival in San Francisco. 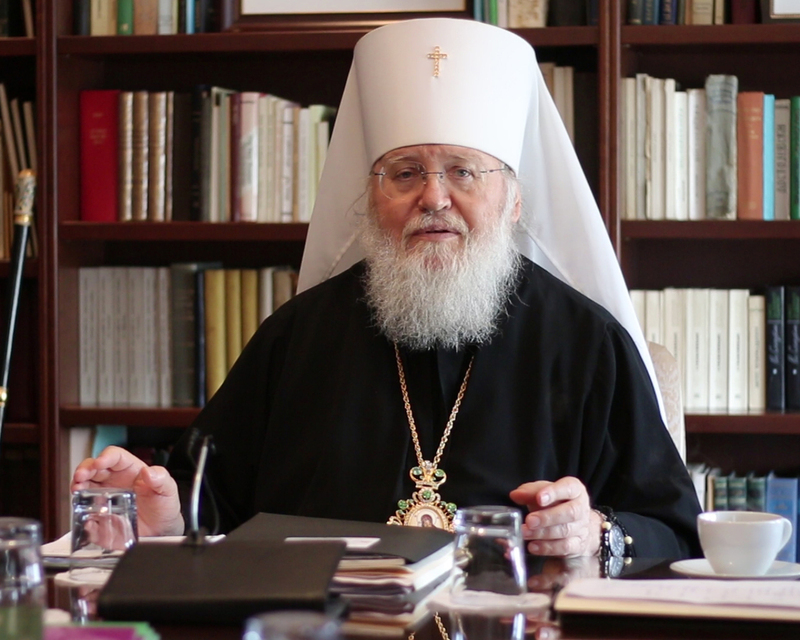 Metropolitan Hilarion thanked His Eminence Archbishop Kyrill for hosting this general meeting of the Synod of Bishops in the Western American Diocese where the honorable relics of this Holy Hierarch of Christ repose. 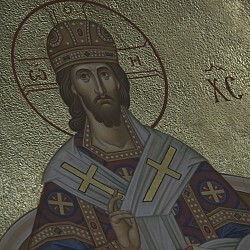 He called upon Saint John’s intercessions as the work of the Synod of Bishops begins. Moscow: The Holy Synod confirmed the election of Archimandrite Irenei (Steenberg) as Bishop of Sacramento, July 15, 2016.